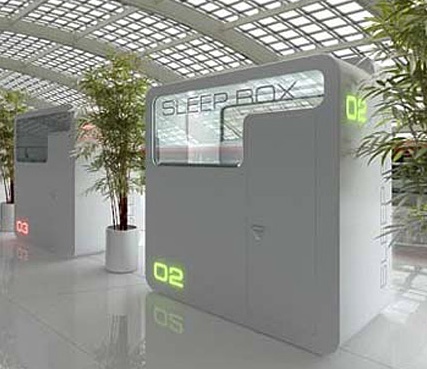 The Sleepbox is designed for the weary traveler to catch up on their sleep. Created by Russian architects, it features sheets that are automatically changed by winding them from one roller to another, just like those belt towels. The Sleepbox is also tricked out with an LCD display, Wi-Fi, a place for your luggage and electrical outlets for recharging all your stuff.